Glamping is on the rise in the Rocky Mountains and we're sharing 10 spots that will take your glamping experience to the next level! Whether you're planning a wedding or the perfect getaway with bridesmaids or groomsmen, these locations are just what you're looking for. The Resort at Paws Up is a breathtaking ranch resort located in Greenough, Montana. This rugged and refined luxury resort offers everything you can imagine. Perfect for not only weddings and honeymoons, but Paws Up is a great destination for a groom's epic bachelor party. The gentlemen can choose from one of many outdoor activities such as helicopter tours, fly fishing, rifle ranges, or mountain biking to fill up their time. Then finish the day at one of the two on locations restaurants or continue soaking up the outdoors with a lavish barbecue! The choices are endless. But, no matter the occasion, Paws Up is the perfect wilderness getaway with all the amenities of a 5-Star hotel. Book your stay here. Clayoquot Wilderness Resort is a "luxury tented safari on the edge of the world." Clayoquot Wilderness Resort is the ultimate destination wedding venue located in the UNESCO Clayoquot Sound Biosphere Reserve. The wedding party and guests can enjoy all the amenities from spas and outdoor adventures to high-class cuisine and turn of the century accommodations. Don't let the cost scare you because they offer all-inclusive packages. Book Lounge & Dining Tents for casual cocktail parties or dinners and reserve the Rainforest Deluxe Tents for the bride and groom. This extravagant resort brings the outdoors inside; perfectly captured in the Ivanhoe Lounge which has floor to ceiling glass windows. If you're considering a destination wedding, this just might be the perfect spot. Experience luxury gone wild, literally. Dunton River Camp is the ultimate luxury glamping adventure in Cresto Ranch, CO. Choose from one of the eight spacious tents located either steps away from the Dolores River or nestled up within the Aspen trees on the mountain. Dunton River Camp is the perfect location for an adventurous, outdoorsy couple who wants to escape the hustle and bustle for their honeymoon. Enjoy group activities from guided hikes to horseback riding or fly fishing. Or, relax and unwind by taking a private yoga class followed by an afternoon at the spa. During your stay, indulge in gourmet farm-to-table meals prepared by Executive Chef Basil Yu paired with all the wine you can fathom. Check out this beautiful Rocky Mountain getaway here. Natural Retreats is a luxury vacation rental company offering over 1000 handpicked homes in 30 incredible destinations across the United States including many Rocky Mountain areas; Idaho, Montana, New Mexico and Utah. Work with the expert concierge teams to make every part of your vacation unforgettable. Through Natural Retreats, you'll be able to immerse in the location you choose to experience an authentic connection with the place, activities, people, and cuisine. The Xplore Team will assist you in creating a magical destination wedding or the perfect bachelorette getaway. Check out their inspiration page and the guides created by the Xplore Team to help you decide what location is best for your group. Capitol Reef Resort offers a fun twist to luxury glamping with their charming 19th Century Wagons, lavish teepees, and glamorous cabins. A one-of-a-kind experience located in Torrey, Utah, guests can enjoy unique activities such as llama adventures, or head out on horseback riding and safari excursions! If you're looking to disconnect, Capitol Reef Resort will allow just that. Relax in the beautiful outdoor heated pool or explore one of the closely located national parks such as Arches National Park. Check out the deals going on now! Luxe Camp Okanagan, located in West Kelowna, BC, is perfect for a Jack and Jill Celebration. Work with Luxe Camp to design a custom experience for you and your fiance's closest friends. Local wine tours and luxury boat tours are in the works too! What's special about Luxe Camp is the location of your tent is completely unique to you and your party. Tell them where to pitch the luxury campsite, or they'll assist you in finding the perfect spot for unplugging. This new and innovative experience is open for bookings, request a quote or more info here. 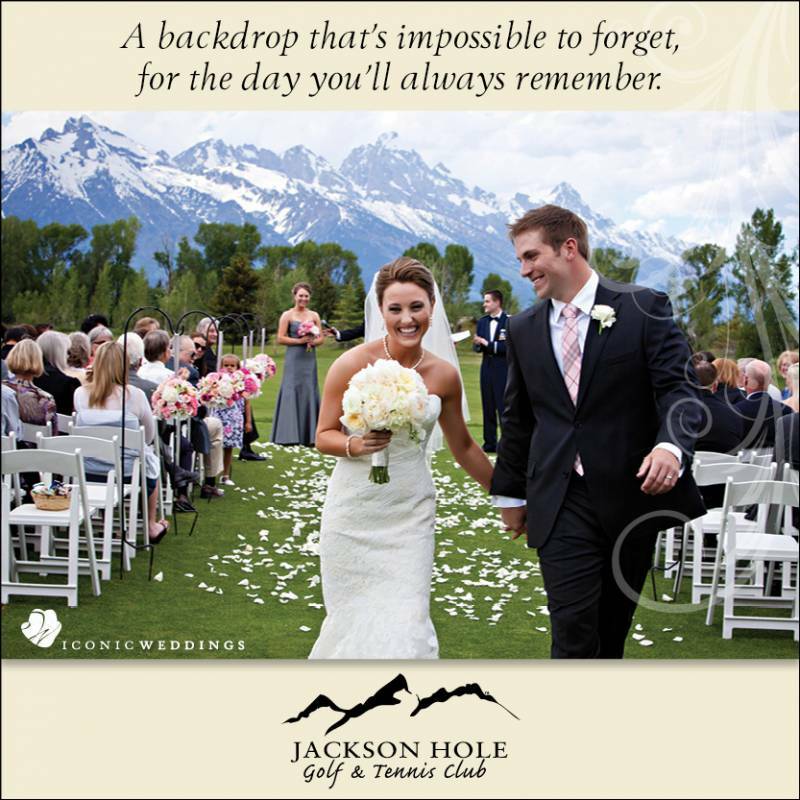 Collective Vail is an unforgettable location to host an exquisite wedding or an outdoor retreat for a bachelor/bachelorette party. Collective Vail offers farm-to-table dinners and all the activities your imagination can think of! No matter the occasion, your guests will have the time of their lives. And, did we mention, if you book the Summit Tent, the concierge is at your service to help you plan the perfect itinerary during your stay. Make your dream wedding or party a reality today and book now! Conestoga Ranch is a glamping resort located at Bear Lake in Utah. We love Conestoga Ranch because it offers not just the typical outdoor activities such as hiking and horseback riding but since it is located on the gorgeous Bear Lake, guests can partake in water activities also! Host an incredible lakeside wedding and celebrate with family and friends for an entire weekend. See a sample wedding itinerary here. If hosting a destination wedding isn't for you, Conestoga Ranch is also perfect for a bachelor or bachelorette party! Contact them now to start planning your perfect wedding or pre-wedding getaway! Under the Canvas is the nation's premier glamping provider with Rocky Mountain locations in Yellowstone, Moab, Glacier National Park and Zion. Under the Canvas is the perfect adventure honeymoon for the couple eloping in one of the national parks. Couples can book a preplanned expedition package that includes activities, food and more! Or, create a custom package with handpicked activities for a once in a lifetime getaway. If you think your guests are up for it, you can even host a large wedding (up to 500 guests) at any of the Under the Canvas locations. They were born to celebrate weddings no matter how big or small, check it out for yourself! Zion Luxury Camping is an affordable luxury camping site in Hildale, Utah, located on the back side of Zion National Park. Enjoy an outdoor getaway with hiking trails right outside your tent! Whether you're eloping with a small party or looking to escape for a few nights before your big day, Zion Luxury Camping offers all the necessary amenities. And, did we mention you're within two hours of five national parks. If you're looking to opt outside, you'll want to check these tents out for yourself!